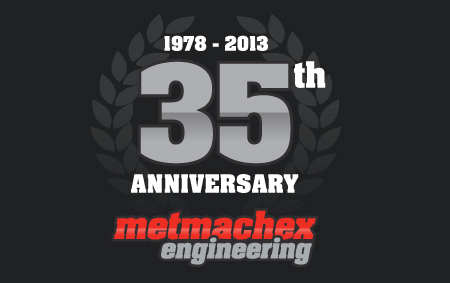 Metmachex Engineering was registered in 1978, our trading name being derived from the words Metal Machining Experts. The main source of income at first was sub-contract work, interspersed with design and machinery repairs. I got the swingarm. It looks perfect! Nice fabrication! The swingarm will be the finishing touch. Hi Jay, yes received the item and very pleased with it, thank you. Hi Jay yes it arrived yesterday had a quick look ,it looks fantastic .Will get it out at week end fit rear wheel and shocks,waiting for my frame back .But like i said it looks great and the workmanship is spot on. Thanks. Hi Jay, yes I received it , beautiful job on it just what I wanted,thanks again. Sean, received swing-arm this morning, looks great and an excellent service. I received the swing arm, fantastic! Can’t wait to get it on the bike! Good morning. Just to inform you that the swingarm had just been delivered safely to my home. It’s been a pleasure to purchase the product from your company. I would like to take this opportunity to say a huge thank you for you guys. I got my part and just wanted to say what a nice product you guys at Metmachex Engineering make outstanding craftsmanship and service good job guys.